IMPORTANT NOTE: Because of technical difficulties, the show cuts out at the 6:37-minute marking and returns at the 10:30-minute marking. When the air is dead, drag the cursor to 10:30 and happy listening. It was a pleasure to spend the evening with Catherine (Cat) Brubaker and Dan Zimmerman on my show, “Another Fork in the Road.” They are my heroes! 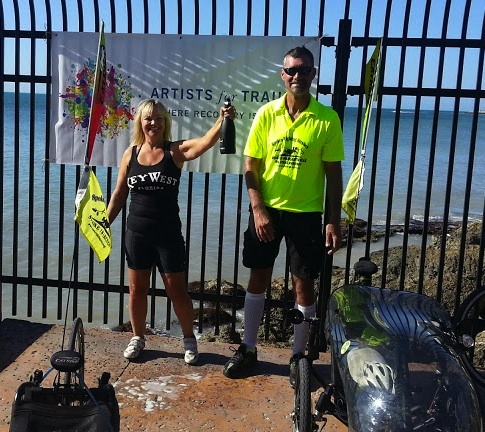 It was such fun to dig into the depths of their feelings to learn what it meant to them to travel across America for 5 months on recumbent trikes -a total of 5,300 miles. If you missed the show, don’t fret. You can always listen to the archived show. You can get to the interview by clicking the link at the bottom of this page. (Wait a few seconds for the audio to start.) Because of technical difficulties, the show cuts out at the 6:37-minute marking and returns at the 10:30-minute marking. When the air is dead, drag the cursor to 10:30 and start listening. REMEMBER: Read above for directions for the technical difficulties. 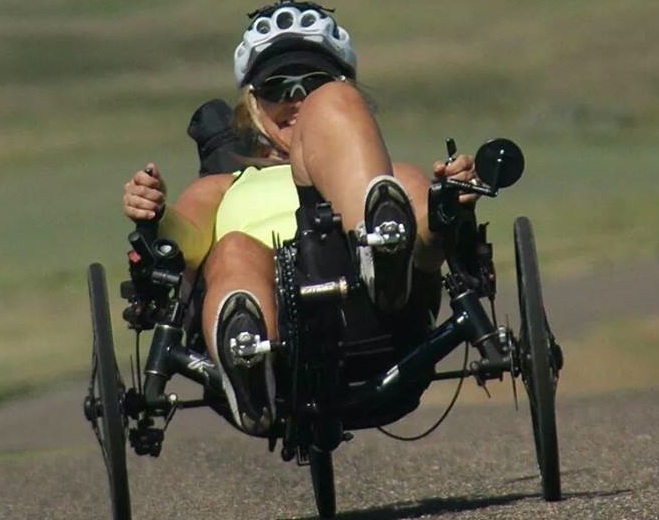 “Another Fork in the Road” on Brain Injury Radio Network invites you to meet Catherine (Cat) Brubaker who is “Triking Across America – diagonally.” Cat looks like your normal, everyday, young woman. But what you don’t know about Cat, by just looking at her, is that she is living with not one, but two, traumatic brain injuries. But, Cat does not let her brain injury tie her down. No, she is on a 5,200 mile trike trip across America – diagonally – to raise awareness for TBI. Come hear Cat. Why: Hear Cat’s amazing story of how she is pedaling into her future on he recumbent trike despite two traumatic brain injuries..